How do our neurons discriminate between a punch to the face or a kiss on the cheek? Between something potentially harmful, and something pleasant? A new study published this week in Current Biology offers an answer by describing a previously uncharacterized gene required for pain sensing. This work comes out of Dan Tracey’s lab at the Duke Institute for Brain Sciences. 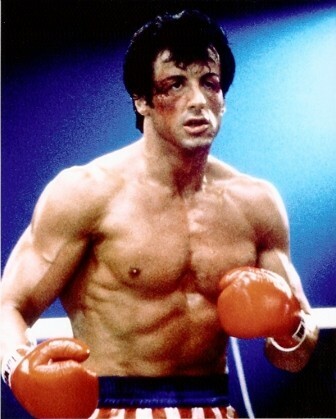 They named the gene balboa in honor of fictional prizefighter Rocky Balboa and his iconic immunity to pain. 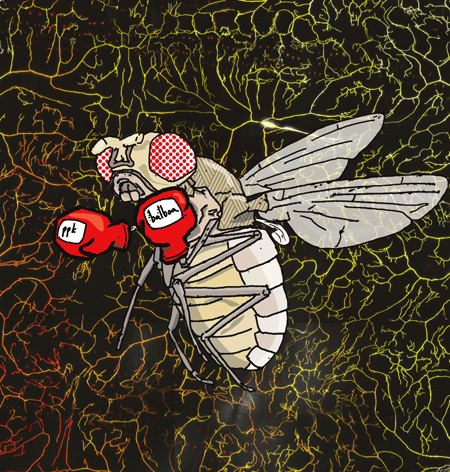 Float like a drosophila, sting like a …oh, never mind. The researchers found that the balboa gene is only active in pain-sensing neurons and is required for detection of painful touch responses. Without it, neurons can’t distinguish between something harmful and something pleasant. Does the ultimate prize of naming of the gene inspire any boxing matches between lab mates? “In the fly community, we are allowed to have these creative gene names, so discussions about the decision on naming are more fun than argumentative,” Tracey says. 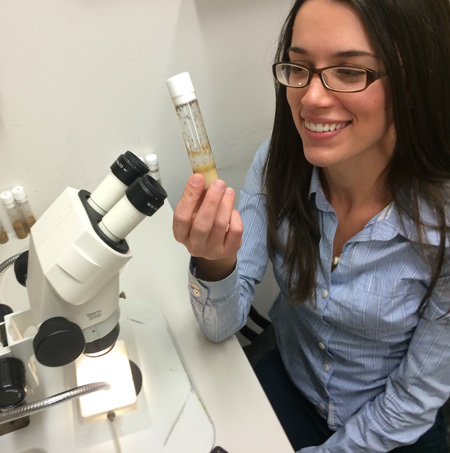 Tracey’s lab is concerned with sensory neurobiology, the study of how neurons transform cues from the surrounding environment to signals that can be interpreted by the brain. Ultimately, the lab group hopes to identify the underlying molecular mechanisms that are involved in our sense of touch. Although the fruit fly has a relatively simple central nervous system, Tracey’s group uses it as model because it has many of the same neural circuits that the human brain has. “[Our goal was to figure out] what molecular components are required for pain neurons to detect harsh touch responses and what is the mechanism for performing this task,” Mauthner said. Using fluorescent cells, their study also shows that balboa interacts with another protein of the same family named pickpocket. They’re hopeful that this gene duo can be a potential target for pain medications that could discriminate between different sites of pain throughout the body. Pain relievers such as aspirin or ibuprofen work broadly throughout the whole body—with no discrimination to where the pain is actually occurring. But, by working towards the exact molecular mechanism of pain signaling, genes like balboa and pickpocket are potential candidates for more targeted therapeutics.